Head here to sample my courses or to list yours. Super Mario Maker is a lot of fun, and the more time you spend with it, the better you'll get at designing new courses... at least in theory. Unfortunately, with so many people building courses (and with a lot of them representing early efforts that aren't a lot of fun to play), there are necessary limits to how many courses an individual can upload. Until you earn a lot of "favorites" from other people who play through your courses, you won't be able to upload more than 10 courses. 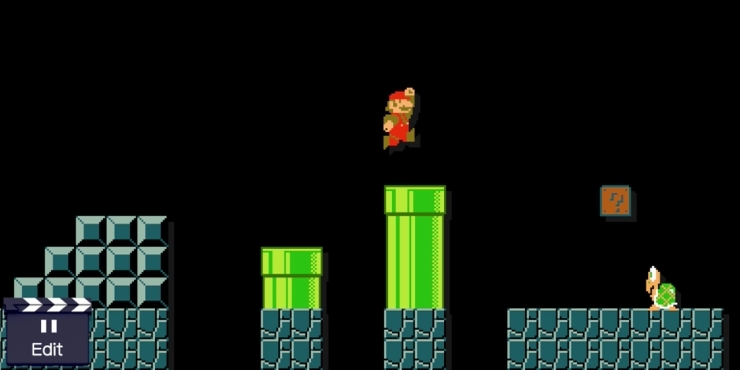 Join me as I build my own little Super Mario Bros. This post is outdated. I've since deleted most of the courses to make room for newer ones built after I had more tools available and more experience. Sorry! If you have Super Mario Maker, let me just take a moment to invite you to come along with me on a brand new Mario adventure... made by me! Whether my desire lasts longer than this weekend or not, we shall see! Nintendo has a new direction to point would-be game designers, provided they have a Wii U. As I have written previously, my younger self was a passionate gamer who thought he might want to grow up to design games. 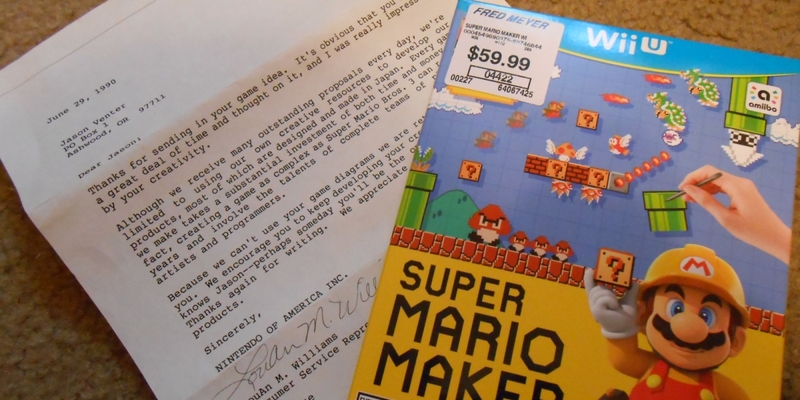 I even went so far as to submit a game design proposal for "Super Mario Bros. 4" to the folks at Nintendo of America, but they rejected it. They were very kind about it, at least. In the form rejection letter, the representative noted: "Every game we make takes a substantial investment of both time and money. In fact, creating a game as complex as Super Mario Bros. 3 can require years and involve the talents of complete teams of planners, artists and programmers." Yup, I'm posting the list again so that I can more conveniently access it, and so you can too, if it's of interest to you. Some time ago, I put together a list of the 100 NES games I would most like to see staff and freelancers cover on the site. The idea at the time was that eventually, I might have money to pay people to cover these titles, so I was just giving everyone a sneak peak. A message I just received suggests that maybe a public service announcement is in order. Before I say anything else, let me first thank all of you who frequent this site, whether you contribute reader reviews or not. I am grateful for your support, and I hope that it will continue. I don't want any of you to remove your reviews, especially because reviews are the lifeblood of this community and clearly the primary component that makes it great (with the other component being the discussion that reviews promote, so perhaps you can see why I consider reviews so vital). 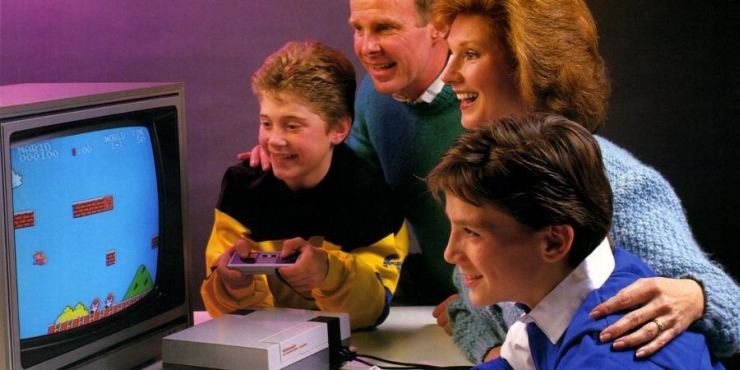 Right at this particular moment, here are my top 50 NES games, ranked. Ask me again in 5 minutes. It should be easier than ever to work on review projects. I've made a few minor tweaks to the Site Statistics pages on the site. You can access them whenever you like from the Users area, as always. They now break down the information a bit differently than they did in the past. Previously, the page listed all games in one big chart. That approach tended to be useful in some respects, but it's not super practical for most purposes I had in mind when I originally built the page. I decided it would be helpful if games are sorted by region.